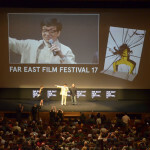 On April 23, Jackie Chan was in Udine, a North Eastern town in Italy, for the opening of the Far East Film Festival. Director Daniel Lee accompanied Jackie at the event, first attending a press conference followed by the screening of Dragon Blade, officially opening the film festival. 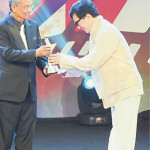 Jackie was presented with the Golden Mulberry Life Achievement Award. 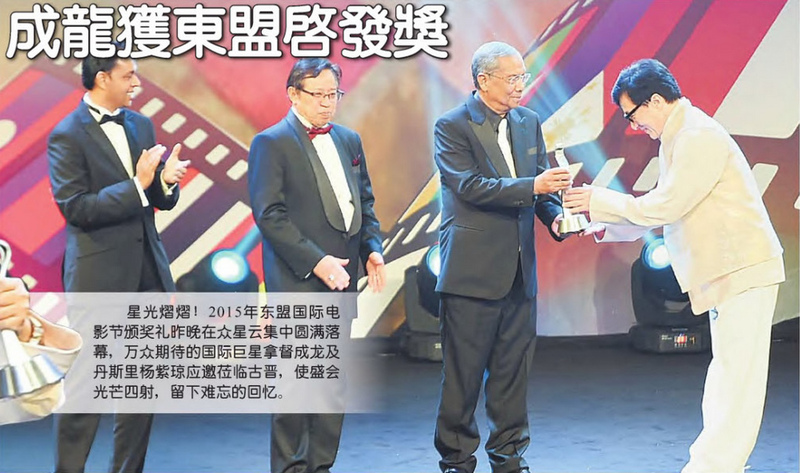 The 19th Annual Channel [V] China Music Awards and Asian Influential Power Grand Ceremony (全球華語榜中榜暨亞洲影響力大典) was held on April 16, 2015, at Macau’s Cotai Arena. 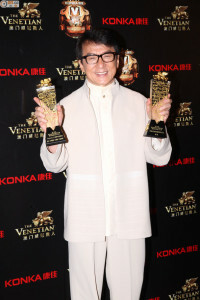 The theme of the evening was “Never Stop” with over 40 celebrities from all over Asia attending the ceremony. 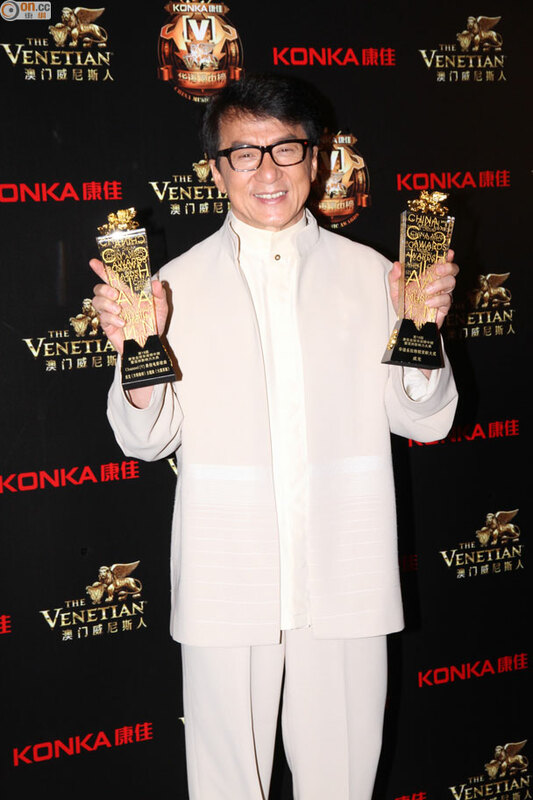 Jackie Chan won two awards at the ceremony: Channel [V] Best Motion Picture Theme Song (Channel V 最佳電影歌曲) for “Hero of the Desert” 《大漠英雄》 and the Lifetime Achievement Award for Contribution to Asian Music (華語樂壇特別貢獻大獎). 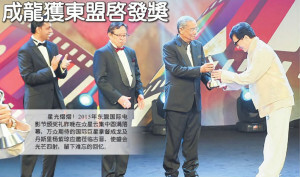 On April 11, 2015, Jackie Chan attended the ASEAN International Film Festival and Awards 2015 (AIFFA), held at the Borneo Convention Centre Kuching, Malaysia. 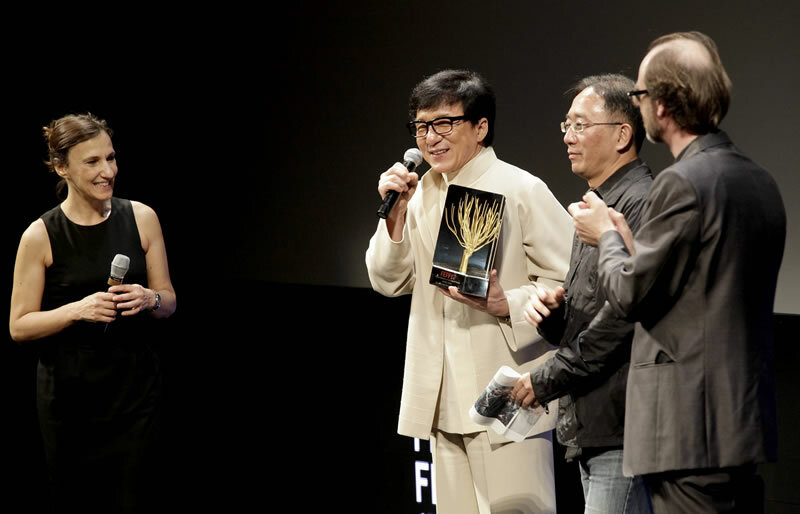 Jackie was awarded the AIFFA Asian Inspirational Award. 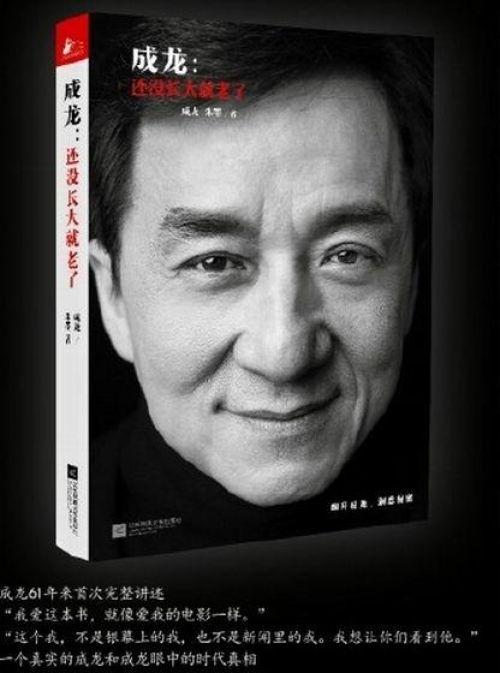 Jackie Chan’s new book “Growing Old Before Growing Up” 《還沒長大就老了》, written by Zhu Mo, was released on his birthday on April 7, 2015, during a press conference held in Beijing. 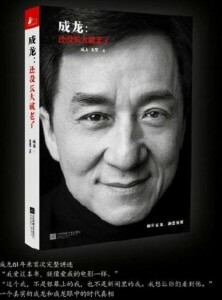 The book reveals a side of Jackie Chan previously not known to the public, including how he used to drink and drive regularly after he shot to fame in his early 20s and became very wealthy; how he would often crash luxury cars after drinking and had treated media badly during those days. 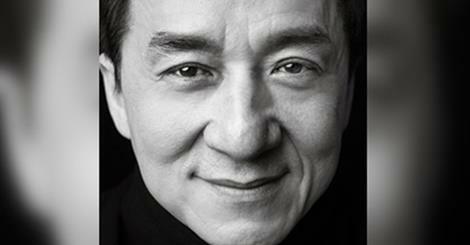 Jackie’s new book is currently only available in Simplified Chinese.